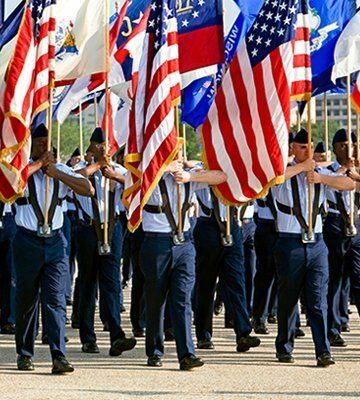 We love a parade and AmericanFlags.com is proud to feature the world's best parade flag sets and accessories. Great for Memorial Day parades, July 4th parades, Labor Day parades, Thanksgiving Day parades and fire department parades. Our high quality flag sets will serve you well at any parade. This line includes a variety of parade items, including U.S. flag and military service flag sets, as well as a variety of accessories.